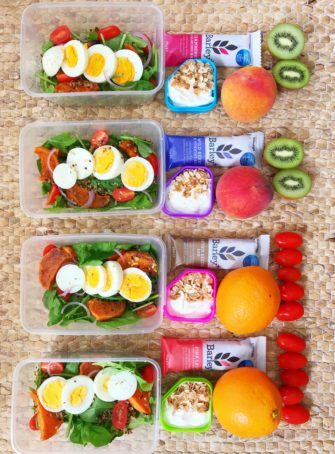 We are big fans of meal prep, and truly believe it is key to eating well. 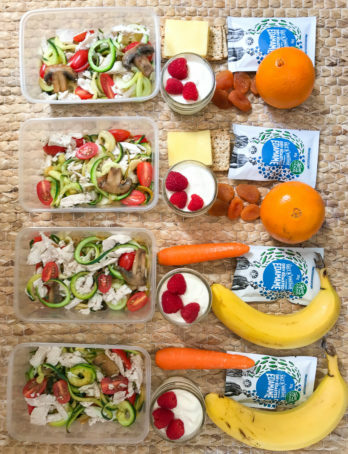 However, so often we come across images on social media of meal prep that is OTT, where ‘health gurus’ have posted images of meal prep for weeks (sometimes months) in advance. The meals are often identical (e.g. chicken and broccoli 5 days a week for 3 weeks). 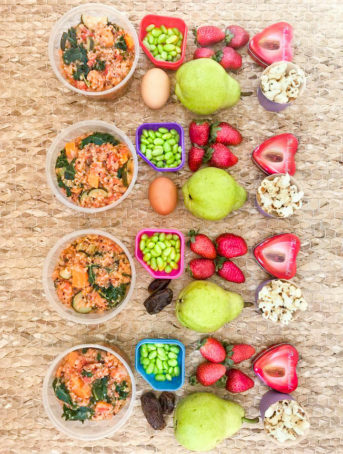 While this might seem like a great way to ensure you eat a healthy diet, the truth is that this type of meal prep usually lacks variety and doesn’t allow for any flexibility for what you actually feel like eating. So, while we do encourage you do cook in batches and put time into planning and prepping for your meals, it’s also important to leave room for movement and flexibility for social occasions that might pop up. Including a variety of foods is essential otherwise you will get bored with what you’re eating. 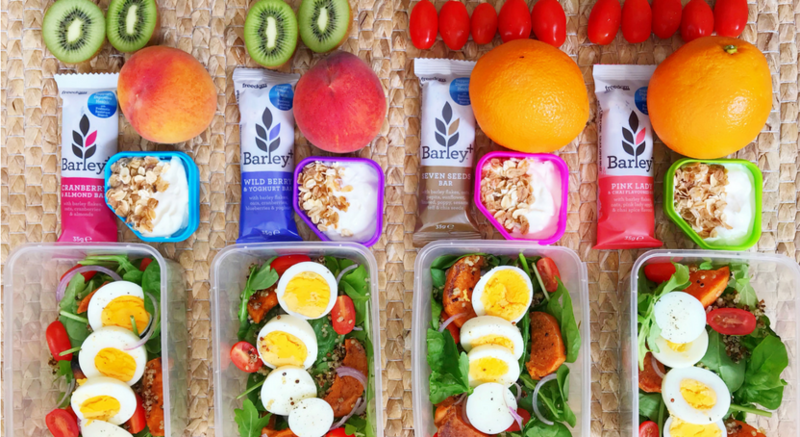 If you follow us on Instagram or Facebook, you’ll know that we ran a March Meal prep series, where we shared some of our meal prep tips and tricks with you. 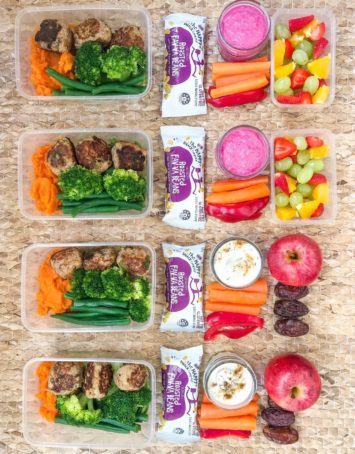 We received so many emails and questions following this series about meal prep and healthy eating, so thought we’d write it all up in a blog for you guys! Tip: These Barley+ bars are one of our FAVOURITE muesli bars as they are full of goodness and taste great. They are made using BARLEY max wholegrain, a non-GM strain of barley that has the highest fibre content of any wholegrain -even oats, rye and wheat! Tip: Roasted chickpeas and fava beans are a source of protein and fibre and are also nut and gluten free (great option for those with allergies and intolerances). Tip: Keep in mind that the point of a snack is to keep you satisfied between meals so make sure your snacks offer a mix of quality carbohydrate and protein. For the average adult, a snack should be between 150-200 calories (600kJ), with ingredients you know and recognise. Most importantly, you want it to taste good! Tip: Almonds are rich in monounsaturated fat, one of the healthy types of fat that is an essential component of our diet. Nuts make for a great snack because of their high protein and healthy fat content, which help to keep hunger at bay between meals. If you’re a gym goer, you’ll be happy to hear that a handful of Almonds provides over 75% of your daily dose of magnesium which will help support muscle recovery! If you have any questions or feedback, we’d love to hear from you. Please comment below!